When you were learning to tie your shoes, it wasn't a one-time demonstration by your mother. Rather it was a tedious task for both of you. Teaching and learning can be quite difficult and frustrating for the trainer and the trainee. Understanding how people learn and what it takes to become proficient at any task underscores the importance of a continual training program for your forklift operators, or for anyone that's learning anything in your organization to help keep it running. Unlike learning to tie your shoes, your company is a dynamic, flowing organization. Things are rarely the same next year as they are today. New equipment, new employees, new products, new fixtures, the variable set goes on and never ceases to change. Adapting to these changes means understanding how we learn and the stages of learning we all pass through before become proficient at anything. Being able to identify where each employee is in the process helps you minimize the training costs and maximize productivity. Let's start at the first level of learning. The Unconscious Incompetent - Before you wore shoes, you had no idea that you didn't know how to tie them. This is the most ignorant stage of learning, but is the first. There are many things your employees don't know, that they don't know, but you do know. It's important to understand this. We often assume "they know how a forklift operates." But do they? Personal interviews or questionnaires are frequently used to determine what someone knows, and doesn't know, which leads us to the next level. The Conscious Incompetent - "Oh, these are shoes and I see I have no idea how to secure them to my feet." Or, you know know that you don't know something. For example, do you employees know how dangerous a forklift can be? At level one, they likely do not. But being introduced to the dangers, or "learning" the dangers, makes them safer. At level one, you may hop right on the lift truck and drive away, not knowing how deadly of a situation you just created. However, now you are armed with knowledge and understand there is much more to learn. The Conscious Competent - At this level, a person has learned a task or process, but is conscious of the process and has to give it thought while they are completing the task. "I'm coming up at an aisle intersection, what am I supposed to do? "...."oh, yes, hit the horn and slow down" they might be thinking. The key is, they're thinking. Some like this level, but having to think takes time, and a fraction of a second can have dire consequences in a material handling situation. The ultimate goal through continual training and practice is to achieve the level of activity where you perform a task and give it no thought, or "The Unconscious Competent." The Unconscious Competent - It is at this level is where you desire to take your employees regardless of what task you're asking them to perform. Whether it's a process for loading or unloading a tractor trailer or how to change a forklift battery. When a person performs a task precisely without giving it thought, he or she is now at his/her most productive level and will maximize the safety of your facility. Like tying your shoes, which you don't think about any longer, what once was a frustrating process now becomes second nature. It is at this level you are most proficient. 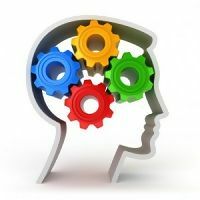 Getting your employees to the "Unconscious Competent" stage takes much more than a one-time classroom and hands on training situation. It's takes a process for continually exposing your employees to information, having them practice, slowly at first. Building confidence with a supportive environment where they are not "hurried to perform" allows them to grow and learn at their own pace. Some will get there quicker than others, but the ultimate goal is to have them all performing without a lot of thought about what they are doing. This allows them to give time to think about how they can make what they're doing....even more productive, or safer. Toyota Forklifts of Atlanta is your source for Forklift Operator Training and Train the Trainer training. We know what it takes to create a safe and productive forklift operator. Visit our Forklift Training Page then contact us at 888-550-6836 to inquire about a training program for your operators today!